Oh dear, it is already nearly the end of Week Two and this is my first post. Sorry!! We have started the term off with a little class. 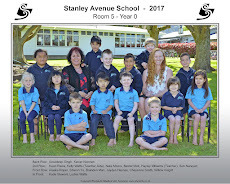 We did welcome Lily in Week One and at the end of that week , we had to farewell Ocean who has gone back to Tokoroa. We have set some goals for our Reading and Writing and if we achieve them we might get a special prize. We were donated a lot of things from the owners of Cockerton's and thanks to them we can use them to make our learning even more special. Thanks!! Gaebriel and Laelah-Belle have been entertaining us with little shows this week. Here they are singing for us.